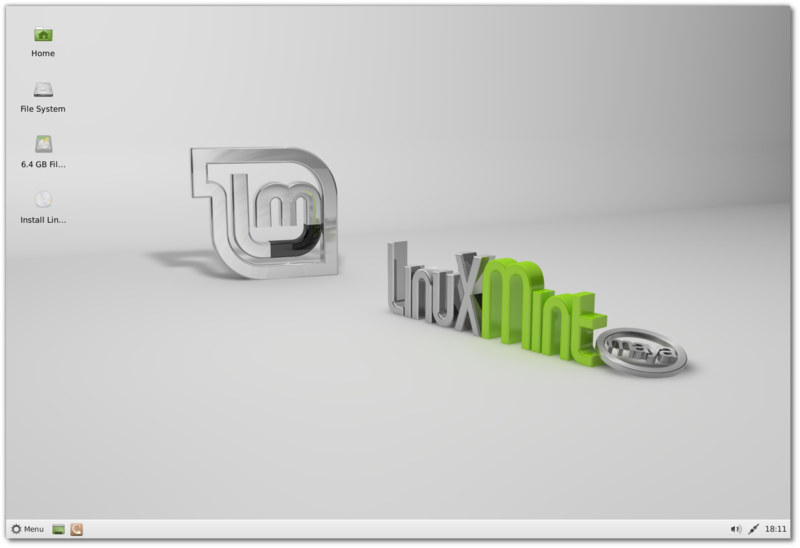 The team is proud to announce the release of Linux Mint 13 Xfce. Previous Previous post: Linux Mint 13 “Maya” KDE RC released! Next Next post: Linux Mint 13 “KDE” released! Thanks a lot Mint Team and personally Clem!!! I had RC installed can I upgrade with sudo apt-get dist-upgrade or I have to reinstall? Mint Xfce is simply BREATHTAKING OS! Fast Simple Secure and Stable! Thanks Clem and all dev team! I’m very excited with this release and have been waiting for it since its RC release. I hope it rocks !!!! Congratulations, team! I’m using the KDE edition this time around, but have enjoyed Xfce in the past; I’m sure many Mint fans will be quite pleased with it. Great!! but the lxde version? @Moe they are not doing the lxde version 13 cause xfce has become more popular among Linux mint users. Clem great job love mint 13 xfce it has become great on my 8 year old desktop and 1 year old netbook thank you so much :). I’m a latecomer to Xfce, currently using the LMDE version, but I’m glad those whi prefer ‘buntu Mint have this as an option. Well done. @Fahad : I saw a note on the forums that KDE had been approved (by someone) for stable release, so I suspect you’ll see it in the next day or two… just guessing. Thank you very, very much, Clem and the Mint Team! I am wondering: Why is mintMenu not enabled by default? And why is enabling it not as straighforward as adding it to the panel from the default options? What exactly does one have to do to be able to use it? Hello. I have installed LM XFCE 13 RC. Is there any way to upgrade from 13-RC to 13-stable without reinstall? Nice ! Will the LMDE version of XFCE get the same tweaks and upgrade in UP5 ? Why they dont announce it too? Ill wait for the announce so Ill download it.. Anyway, congratulations to all people who contributes to create this free operating system and all the software distributed with it. It’s great! Thank you Linux Mint Team for this final relise! But i heave problem instalation complete but Linux Mint Cannot to Load after instalation.Why? I need something that is lightweight, I will try it in virtual machine tonight. I think they don’t announce it so xfce has its “moment of glory”. I had the RC and with a simple update now I’m running the stable. I loved gnome 2 in Mint, I loved LXDE in Mint, I loved Cinnamon in Mint… I even loved gnome 3 in Mint!! I’m sure they would convince me to love xfce if I give them a chance!! I ran Kubuntu for a few days and I loathed it, then I turned to Mint KDE… now it’s my main distro!! Upgrade instructions: To upgrade from the RC release, simply apply any level 1 and 2 updates (if any) available in the Update Manager. Recently I have installed xubuntu on my desktop. But feel that it is quite slugish. I must try LMxfce to explore its features and speed on my older machine. Thank you team. I am waiting for this release for weeks. They don’t announce it to avoid server overloads. That’s why they stagger their releases and never do an “official” release of two desktops on the same day. cool !! i installed it . This is simply awesome news. I have been wanting this release for some time now. My Mom is going to love it on the older Dell D610 I gave her. She is almost 80, (sorry Mom) and always says she loves her Linux. Good news, i will download soon. the firewall must be activated and not bluetooth! and where is the mint menu?! where to look? how to activate it? this distro is linux mint so i think that everything in the system with the name mint must be activated. anyway this is the best system. thanks a lot! by providing the community with the user friendliest OS. 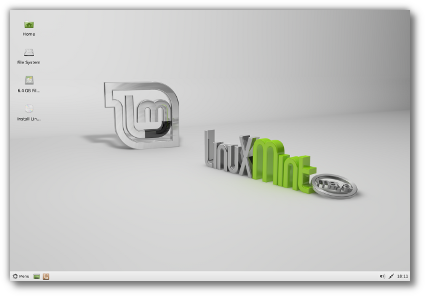 Linux Mint 13 Maya XFCE is great! May well become the main distro on my pc now. with mint xfce rc wine worked very well and was possible to use some portable progs. in this final ed. wine is for nothing. i don’t know why. i can mail the entire report if needed. if ubuntu software center is installed along with it will be also the update manager and will offer more updates. what to do? install or not? Very, very nice job. The configuration of Mint 13 Xfce is now the closest thing to a continuation of the traditional desktop, including the immensely popular mintMenu. Great Release. Great User Experience. Thanks for all the greatness! I wonder what happens, if one takes Xubuntu 12.04 and install all the applications additionally in Mint 13 XFCE into Xubuntu 12.04? Do we get a home made Mint 13 XFCE or is there something that the Xubuntu users can’t install, which is only Mint 13 and also can’t be found in the Internet? cool, the biggest thing I’ve missed in Mint after ‘Gnome 3 Mess’ and migration to XFCE is MintMenu, maybe the best linux menu app. breathes new life into my ageing netbook. thanks mint! Wonderful job with XFCE. The OS is running on my old Dell laptop and runs great. LM13 Mate is running on the desktop and as usual a very happy camper. Great to have the new XFCE release. One question: I can’t find a control panel to add a new user. Can someone please help? Very impressed with the Mint OS. I had been a windows only user in the past. After trying this new Mint OS from a 6 year break of trying linux I have noticed it finally is friendly enough that I can use it and start learning it – replacing windows without such a high learning curve. I really love your work and am glad I can finally get away from windows. Excellent work Clem and Mint Team! I am really happy that you took the time to work with XFCE and MATE to get Mint menu option back for XFCE. It makes me feel like I am personally listened to (not that I was necessarily the only one) when you are making these decisions. As a user that makes me feel happy more than one of my suggestions, which may have been echoed by others, actually made it into the distro that I and millions of other people use. In the past I have ragged on PulseAudio because it always used to break my sound. This last year or so I have had zero problems with Pulse Audio, though I am not sure about others. If this stability keeps up I may have to rethink my issues with PA as ALSA is kind of limited….The security exploit is a concern however with Pulse Audio. OSS has really improved in quality too, since the days when it wasnt very good or that brief moment it went closed source…..ALSA isnt very elegant, but at least its always been stable. It needs a better front end for choosing sound sources, which may or may not be Pulse Audio. Maybe it still needs to be created. I love the performance and that I can still have mint menu and my 3d effects (if I want them). I actually prefer the right-click menu in XFCE that is lacking in Gnome2/MATE, and have been seeing XFCE as a contender with Gnome2 more than with LXDE….Its kind of a middle ground between the two, as it can be almost as trim as LXDE or almost as heavy as Gnome2, making it the more versatile DE. XFCE rocks. It would be nice to have some additional security repos installed by default. I often add Backbox to my Mint installs just because I dont get all the security apps I need by default, usually without isntalling their version of the browser since I use profile switcher and FoxyProxy over the now outdated tor button anyway. I am not sure if including I2P would be too controversial, but as far as Darknets go I2P is leaps and bounds ahead of Tor or Freenet….maybe its not as good for hiding your IP or bypassing firewalls compared to Tor, but it is a growing community of websites and IRC chat groups……It is a service to people in countries that have oppressive governments who censor and control the internet, where they can host or share content with less fear of government repression for free speech. If Tor is getting included, I2P is in the same catagory and is actually better for some specific uses. 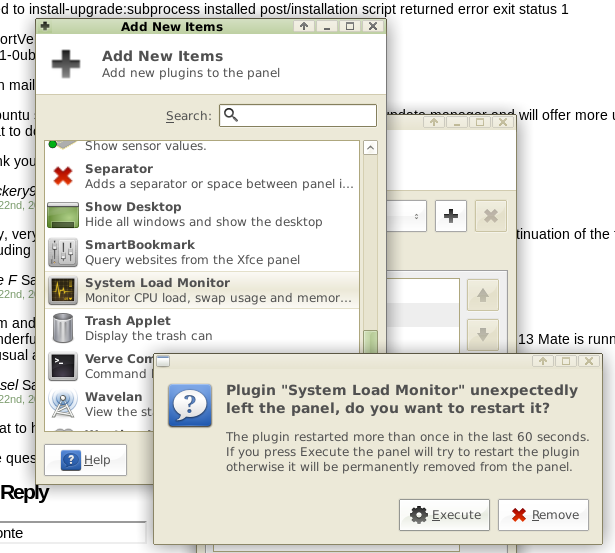 Same problem with Generic Monitor, Sensor Plugin and Network Monitor. great to read that Mint 13 Xfce is out. I’ve just downloaded and am writing this within a Mint 13 Xfce live session. It seems to work very well so far. 1. I can see that MintMenu is installed by default now – but unfortunately it is not activated or setup at all. One has to add the XfApplet and set it to use MintMenu and then remove the standard Xfce Menu from the panel to get the configuration one would expect to be default within Linux Mint. Perhaps this should be changed. 2. With XfApplet we have the possibility to use Mate applets now. But unfortunately it seems to be necessary to install the whole Mate desktop to do that as the Mate panel applets package has all the Mate desktop as dependency. Perhaps it would be good to have a little Mate applets package especially for use with XfApplet which only has the really needed dependencies? I’m now removing Isadora for Maya Xfce and I’ll also remove Maya Cinnamon and Maya Mate, both on another partition. What about the LMDE XFCE 4.10 edition? Hello Yro@32, I googled for xfce4.10 for debian, and got the link listed here. I don’t have an LMDE box running in order to test this. Being a lover of xfce dektop I tried LM 13 xfce. In live mode I found on getting to the desktop fine till I clicked on the menu and the screen went black & grey. On 2nd try the screen was totally black after finishing boot-up. On 3rd try I went with comapatibility mode and ended with a black screen. This is on a Dell Dimension 2350 w/P-IV and 1GB of ram. Don’t think I’m gonna go with a full install after this experience and Xubuntu 12.04 runs fine on same machine. Works good – even the netbook keyboard with Fn function although not all. A section – recognized hardware and support would be welcomed. Edit by Clem: If it was your first comment it had to be manually approved to appear on the blog. That’s how our antispam plugin works and it’s thanks to this plugin that you don’t have to read through thousands of SPAM comments a day on a website like this one. Sometimes that means your comment doesn’t appear as quickly as you might like. Now, about deletions themselves, that’s pretty rare. We do delete comments now and then, but only when the content or the wording is inappropriate, not constructive or completely off-topic. perfect; fast and visually appealing. Thanks! I didnt ask for debian, but Linux Mint Debian with XFCE 4.10. And I dont wanna install xfce experimental packages in LMDE..
LOve it so far. Downloaded it last night, burned a dvd and installed awhile ago on an older Dell dual core machine with a gig of RAM.. Had a few minutes of frustration as I had no idea how to activate the MintMenu but someone here told us how.. Once I did that, I deleted the xfce menu but so far I haven’t been able to move the MintMenu to its proper position.. I’ll eventually figure that out (or someone will tell me how) and I will have the perfect operating system..
– None of the Appearance “Styles” (Mint-Z, Mist, etc.) change the color of the desktop fonts to white for use on a darker background. I had to edit .gtkrc-xfce to accomplish this. – MDM login screen still disappears: see https://github.com/linuxmint/mdm/issues/3 Had to switch to LightDM to fix (GDM works too). Thanks again for a fine distro. I installed Linux Mint XFCE, then I uploaded my backup files into the Document Folder. XFCE locked all my files that I uploaded. You have to unlock each file and photo one at a time. This can take hours. Is this the way that XFCE is supposed to work? None of the other operating systems cause this problem. Thank you, it works almost fine. I can-t move it to the left 😛 it stood at the right and… I kinda like it. @TerryK : Right now it seems that we can move only xfapplet and not the mintmenu. So you have to do the exercise again. First remove both of them and then reinstall. Don’nt enable mintmenu first. Add xfapplet first and then move it. Only after moving xfapplet to left side enable mintmenu, it will be on your left side. There should be some other way around, but this is how I did it. I have Mint 13 Cinnamon. I liked Mint from the days of Barbara. It was then Ubuntu and it is now Ubuntu. I don’t use some apps, so whether they are in Ubuntu or Mint, they don’t matter. I have Ubuntu 12.04 too. It is very fast. I didn’t delete Unity DE, but installed Cairo Dock and got Cairo with Gnome+effects. I had installed Compiz before that. It worked like a charm. Then, I thought why not install Cinnamon, and that too was installed nicely. Booted into Cinnamon, and what do I get? A distro just like Mint 13. If I need any extra applets, I can get them from Spices. As Mint 13 has Gnome shell underneath, I can install Cairo dock and even Unity. Cinnamon is the greatest thing that had come from Linux Mint, not the distro itself. Mint menu is superb, and that too can be found in Spices, and many more. There is another Xubuntu remix by a Frenchman that was released in May 2012 named Voyager. It works like a charm. If one needs, one could even install Mint Menu there. Why was Mint XFCE so late, I don’t know, but as it is with MATE, I won’t download it. I didn’t like MATE in Mint 13. Cinnamon is very good and that’s the way to go. the thing is that not everybody knows to work very well with linux and the right way to activate the mint menu is throgh update. i’ve installed the system in the last 2 weeks everyday and this is enough. 🙂 the question to ask is how many will take this in consideration to learn a new system? How long is Mint 13 XFCE Supported? 3 years like Xubuntu or 5 years like Ubuntu? where is that to find in the system? and if is not how to put this back? I still don’t get it, how can be activated the Mint Menu. Anyone ? @Hotchili (#68): Add an Xfapplet to the panel, then go to properties of that applet and activate mintMenu. This was probably the best decision: XFCE 4.10 Mint release!! Finally I’ll have an LTS for which I can say “This is the OS I want!”. and you’ll end with (little bit ugly but) successful installation. Wow this is great. Ive book looking forward to this for ages. Whilst I thought the mate version was ok and not bad as a stop gap ost g2. I have been using it for a while now on my main machine- it really has not hit the spot for me it is a bit slugish. Still there are some great features. I loved the xfce on lmde but wanted something a little more stable (ie technical knowledge not yet up to getting under the bonnet). I like the look of cinnamon- but its still a bit unstable and takes ages to boot up. So this brings me back to xfce. Looks nice. Pitty the psduo xfce dock is not included ( and yes i know its easy to make one again). I have not installed it yet- so im unclear- is the mint menu installed by default or do we have to add it as on lmde xfce? Linux Mint XFCE version is a Linux version I am waiting for, due to XFCE is one of my favorite desktop environment! Wonderful . . . many thanks ! please put this back in the system! – the right corner of the xfce panel makes a strange shift to the left when switching between virtual desktops if there is some window on the task bar in 1 desktop and no windows on the other desktop. the same happens when you click on a tray icon, and the app launches and creates its window on the task bar. (I tried with the panel being both locked and unlocked). k9copy worked in rc but not in final edition. sofware manager don’t work anymore. Mint with the XFCE desktop including the Mate menu is the best Linux distribution I’ve seen for older computers. Thank you! There’s only one thing I’d like to see changed, and its one that appears across the Mint platforms from what I’ve seen (I’ve not looked at the KDE version yet). The “search” feature in Software Manager needs to allow you finish typing in the word or phrase before it starts searching. I’m not a fast typist (two or three fingers at most), and I’ve seen it go looking for a single letter (which essentially hangs it up unless I close it and start over). Just add a feature to force it to wait until the ENTER key is pressed or the little search icon is clicked. Many thanks! Thanks Clem and team! I’ve installed it on my laptop (Dell Inspiron 1721) and love it. I still have a bit of configuring to do before I have it all personalized, but hopefully by tomorrow night. My BCM4311 wireless card did not work at first, but Google helped me fix it. The mute button was not unmuting, but Google again helped fix it. I added some opacity behind the desktop icon labels so that the labels could be read against dark backgrounds. I’m saving the heavy lifting for tonight, automounting some partitions, linking to my data directories, and importing my email into Evolution. Thanks again, I got two years of solid use out of Mint 9 Xfce and am looking forward to 5 years from Mint 13 Xfce! Yes, there is a way to move the Mint Menu on the panel after it has been selected in the XfApplet. During the RC, Clem pointed the way. Do you have evolution without Gnome libs? I have Xfce but gnome libs made my desktop broken. I installed Mint 13 Maya and started to work with it, and many thanks for the new looks,easy methods and compatibilities. Good to have Linux instead of old, monopoly of boring Windows! Is LMXfce 13 better than Xubuntu 12.04 LTS and why? i’m sorry but is not better! the software manager looks bad and don’t work after a while, the sound get lost, you can’t add a new user because this feature is not in the system, the mint menu is not activated, not every software works and other little things. i had great hopes but after some days i lost them. Edit by Clem: Removed links and promotional content. Please be more specific in your feedback so we can use it to improve on what you feel is lacking. which is really good news ! Correct me if I’m wrong, but I couldn’t find a configuration tool in the menu that lets create a new user or user group. Had to google it and use the terminal. Enjoying the new mint XFCE on my netbook though. i’ll answer soon in a mail. I installed Evolution from Synaptic, and it would have installed whatever dependencies came along with it. My desktop works just fine, but I do think the theme looks different, but I’m not sure it is because of installing Evolution since I had also been messing with different window managers and themes. Evolution did not work with the Shiki themes as they made many of the backgrounds in Evolution turn black and unreadable. On a different note, I may have to abandon Mint 13 Xfce because of Evolution – the reason I use Evolution instead of Thunderbird is that Evolution, working with gnome-pilot, can sync my contacts and calendar with my old Palm Centro phone. However, gnome-pilot is not in the repositories for Mint 13, and I have failed at installing it manually, and that’s a deal breaker for me. So I may experiment with going back to an earlier version of Mint but upgrading the kernel. This suits me just fine, its quick and responsive. The only thing i cant change (because i don’t know how) is to change the color of the fonts below icons on the desktop. Black doesn’t blend in with darker backgrounds.. other than that i think its perfect for my older pc. Will the new Xfce be in the repos soon? I am using Cinnamon right now but I would like to be able to switch back and forth between Cinnamon and Xfce. Currently the repos have Xfce 4.8 in them not 4.10. The way I did it was to edit the hidden file .gtkrc-xfce in the home folder. The “fg[NORMAL]”, “fg[SELECTED]”, and “fg[ACTIVE]” items set the color for the text using hexadecimal color values. However, if you change your wallpaper again you might run into a similar situation where you can’t read the text because the font color and the wallpaper are too similar. You can get around this by adding some opacity behind the icon text so th etext is always legible. In the same .gtkrc-xfce file, change the value of “XfdesktopIconView::label-alpha = 0” to something higher than 0, like 70 or 100 (O is transparent). 1. replaced Banshee with audacious. Banshee is very heavy for my machine. Set audacious to read my language by default to bypass stupid windows encoding issues. 5. bumped into the annoying 16% freeze issue in mintinstall. kudos to Clem and the mint team for the nice job. I hope there’s a new version of mintinstall coming soon. great !is there chinese surpported? @EdwardR – thanks for the hint on how to change the opacity on the icon text. I’ve been surprised there wasn’t a setting for it, but I’ve got it changed to 100 now, and it works great! I just wasn’t really happy until now. Xfce can be tweaked to look exactly like my former Gnome 2 desktop. Unless I told you, you would think I was still using Gnome 2. Thank you again for giving us 5 more years of Peaceful Computing. Where is “Startup Disk Creator” ? (I want to make a persistent Live-USB from my temporary RW DVD disk). I just have to chime in again to reiterate just how incredibly awesome this distro is! After running since the RC, I can honestly say that this is a darn near perfect distro. I have come across literally no show stoppers…everything just, well, WORKS. I am dumbfounded that MATE and Cinnamon are the interfaces of choice on the main distro to be honest. XFCE plain beats them both in functionality, usability and performance. And, with the inclusion of the MintMenu, we are back to the good ol’ Mint we all have come to love. *This* should be the standard Mint distribution! kmsvsr… thanks. That worked. I’m using the XFCE Maya setup and I totally love it. It’s a better OS that Windows on a USB drive on an old laptop for my little girl to do her homework and play some games, surf the web. I am totally blown away. I was using a decent distro that was as cute as a “puppy” but I love the Mint. It’s perfect. Stay Fresh, Winter, Spear, and Pepper mint!! I have been installing and UN-installing Linux OS’s for a few years now. I have been waiting for one to be as good as Windows ie ease of use. I really did not want to become a programmer just to have an OS to run programs from, and all linux versions required one to compile their own, I did not want any of that. Finally a Linux OS that looks good and semi user friendly. There are a few problems, one is no easy way to remove programs after installation, it would be nice for a section of software manager to keep track of what has been installed on your system and had a remove program/un-install option. Also the the OS handling multi-monitors is a bit clumsy and it will loose the settings one make after installation, not a biggie but darn annoying. And the invidia graphics card driver you guys endorse does not work, it wont allow you to set multi-monitor setting either. I also noticed that some of the widows will auto resize to a full screen when taken to the top of the screen, not to the side to half screen and the auto-resize is intermittent. But all in all this is one of the best efforts I have seen from a linux group yet, the desktop is clean and easy to configure, the menu is well thought-out and as a whole the OS is very smooth easy to install and fun to operate. I really love this version over all the others, just a few minor bug a few mentioned above, but that is to be expected. Keep-up the good work, I look forward to the next update. Congratulations to the MINT Team for a job well done with XFCE Maya 13! It runs fast and smooth as silk on my IBM Think Station – something that the newer versions of Ubuntu would not do. This is a simple and complete OS that will run on most anything. I’ve been off Windoz for 7 years and loved every minute of it! Thanks for a great job! im on mate now but having video problems with vlc. think ill see if xfce version fixes that. the mint menu is a huge selling point also. its such a awesome menu to have. So far I am loving this. It’s a huge step up from Lisa LXDE although the only gripes with it I had were not being able to pin icons to the panel (very annoying) and qjackctl would make lxpanel crash. Why won’t my desktop icons delete and how can I change the panel’s font color? Thank you for blowing all the other OS’s away, especially Windows! but i want lxde 13 . The loss of the “users and groups” entry from the system menu strikes me as very odd for a Mint distro-Mint being reviewed as a distro in which everything just works. Yes, it is possible to user the useradd command from the command line, but that seems inconsistent with the idea that Mint is suitable for newcomers to Linux or those who don’t have the time or inclination to learn cli commands. It may be possible to accomplish adding users, as suggested above, by adding gnome system utilities. When I tried that in Debian Testing one time it was going to bring in the Gnome desktop-I don’t know if that would happen here or if it still would in Debian-but it seems inconsistent with the thought that there must be some reason that some people have chosen XFCE. It’s in Xubuntu 12.04 and it’s hard to understand it not being here. My guess is that it somehow got missed. coming from the mate version of LM i really like this a lot better. its quicker and seems more polished. my video playback problems are gone also. im not sure if it was mate causing it or something else? but there gone now. i tried out the mint menu but decided to go back to the regular menu. i couldnt edit the programs and menu button. so the regular menu fits this desktop better. i like the xfce compositor. it has some cool transparency options. makes the desktop and menus look nice. ive tried about every version of linux mint now and this is my fav since LM11 with gnome. KDE just never been a fan of kde. too bulky for me. Mate very promising for the people who love gnome2. right now i don’t think it’s ready for full time use. i might come back and give it another try later though. LMDE ive tried it a couple times and always end up leaving because i have such a hard time installing programs. im probably not advanced enough to use this. i do like how fast it is. I have a problem. For test in “live mode” don’t connect to internet. I have instaled Xubuntu 12.04 and no problems with internet connection. What is the problem? And test other distros and don’t have this problem. it is necessary to install it so that he recognizes the connection? Dans toutes les versions de Linux Mint, il y a un point du menu: “Créateur de disque de démarrage”. Je ne le trouve pas dans cette version. Où est-il ? In all versions of Linux Mint, there is a menu item “Startup Disk Creator”. I can’t find it in this version. Where is it ? i dont think its included in this version. you will have to go to software manager and install it. unetbootin works even better i think. i used it to install xfce. je ne pense pas son inclus dans cette version. vous devrez allez dans le gestionnaire logiciel et l’installer. unetbootin fonctionne encore mieux je pense. Je l’ai utilisé pour installer xfce. Wow. I have tried almost every Linux Distro and their alternate desktops. And I have to say this is the Best all around. The most stable and everything just works. I don’t even bother looking at Distrowatch anymore as I have found my operating system. Linux Mint XFCE should be yours also. Give it a try. For god’s sake, can please somebody take care that the next release of xfce in mint will not be stripped of half of the panel plugins again. I am so fed up with computer “upgrades” that leave me with broken functionality (Okay that is a general feeling since gnome3). Now no timer, no orage bearing panel clock (and a lot more), I can’t believe it. Nothing to replace it. What’s going on with xfce-goodies? Nobody seems to know. It’s been weeks now. I depend a lot on those small, conveniently placed helpers.